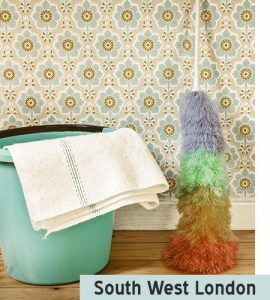 We are one of the many cleaning companies working in the South West London area, however, we are different from the others. Our cleaners have gone through intensive and training and each one of them is familiar with the latest cleaning standards and techniques. This is the key to our success and to the flawless jobs we perform. We have serviced hundreds of residencies in South West London and we haven’t disappointed a single home owner. Our greatest priority is to satisfy the cleaning needs of our customers and to convince them that their home is in safe hands. All of our employees have been checked and interviewed, so we are sure that they are 100% reliable and trustworthy. We provide a variety of cleaning services, including the popular one off house cleaning which is highly sought. The quality of our services is unmatched and our prices are competitive as well. We can easily fit into a tight budget, without ruining the quality. We use products and equipment manufactured by “Prochem” – one of the leading companies in the cleaning industry. The detergents we use are very powerful, but also eco-friendly, anti-allergic and biodegradable, so they are 100% safe for humans and pets. Our cleaners won’t just improve the appearance of your home, but they will also improve the living environment, making your home a fresh and hygienic place. We provide many other cleaning services: sofa cleaning, oven cleaning, one-off cleaning, end of tenancy cleaning, etc. All of our services are of top quality and are very affordable. Our cleaners are well trained and they can either follow a list of priorities and tasks that you provide or work according to the company’s standards. We assure you that we keep up with the highest cleaning standards and your home will be spotless clean when we are done.